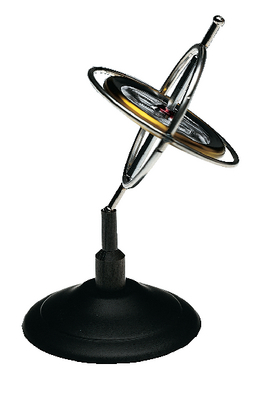 The Simple Metal Gyroscope provides a hands-on gyroscope experience. Gyroscope Measures 5.5 cm dia. The compact, 5.5 cm dia. gyroscope comes complete with its own stand and starting cord. The axle’s end notch lets users balance the gyroscope on a string.